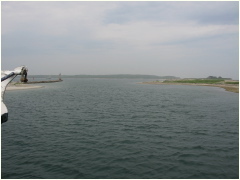 Cuttyhunk Island, Massachusetts. 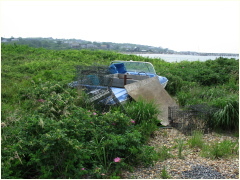 Located on the SW coast of Buzzards Bay 12 miles south of New Bedford and about 8 from Marthas Vineyard. Its name comes from its Indian name of Poocutohhunkunnoh. 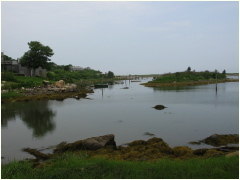 In 1602 Bartholomew Gosnold explored Cuttyhunk and the other islands in the Elizabeth chain. 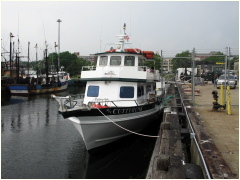 Access is usually by ferry from New Bedford. 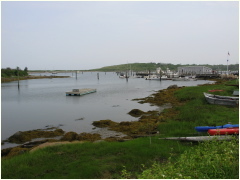 For several decades, Tony Everett, grandfather of the photographer, based his lobster fishing operations from Cuttyhunk harbor and Fairhaven at Union Wharf.Text is compiled by OceansArt.US from personal knowledge and various sources. 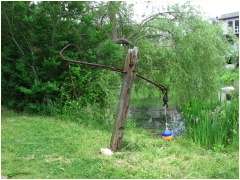 Interesting sculpture made from available materials. 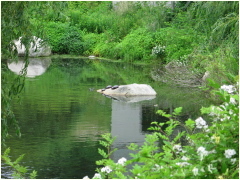 Turtles sunning in a local pond. 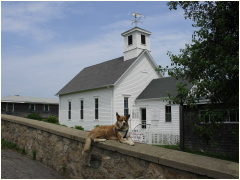 The Methodist Church and its companion. 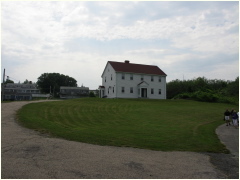 One of the classic houses on the island. 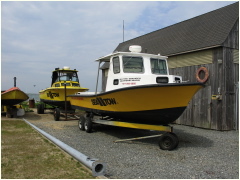 Two of several Sea Tow boats ready to assist hapless mariners. 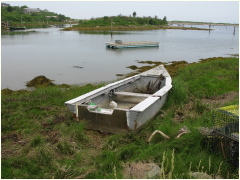 Derelict boat left high and dry. 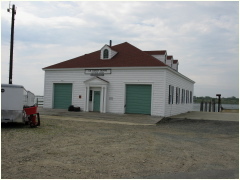 The decommissioned US Coast Guard station. 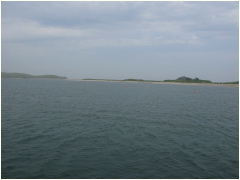 View of the clam and oyster aquaculture farm while leaving the harbor.